Malignant brain tumors are a significant health problem in children and adults. Conventional therapeutic approaches have been largely unsuccessful in providing long-term management. As a metabolic disorder involving the dysregulation of glycolysis and respiration (Warburg effect), malignant brain cancer can be managed through changes in metabolic environment. 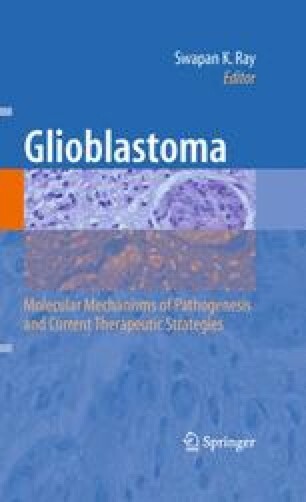 In contrast to malignant brain tumors that are mostly dependent on glycolysis for energy, normal neurons, and glia readily transition to ketone bodies (β-hydroxybutyrate) for energy in vivo when glucose levels are reduced. The transition from glucose to ketone bodies as a major energy source is an evolutionary conserved adaptation to food deprivation that permits the survival of normal cells during extreme shifts in nutritional environment. Only those cells with a flexible genome can transition from one energy state to another. Mutations restrict genomic flexibility. We propose an alternative approach to brain cancer management that exploits the metabolic flexibility of normal cells at the expense of the genetically defective and less metabolically flexible tumor cells. This approach to brain cancer management is supported by recent studies in orthotopic mouse brain tumor models and in human pediatric astrocytoma treated with caloric restriction and the ketogenic diet. Issues of implementation and use protocols are discussed.